Millennium 7 Publishing Co.: Growing YOUR Social Media Reputation? Growing YOUR Social Media Reputation? Five easy ways to grow your reputation on social media today.. Concerned that using social media to grow your reputation will take too much time? Those feelings are understandable in this day of constant information overload. We are short on time and long on distractions. Yet, if you neglect your personal brand, you are allowing others to take control of your narrative. 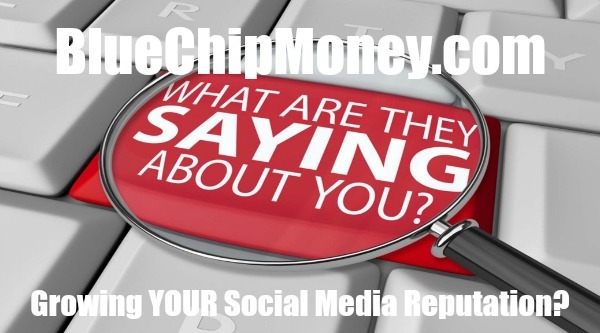 Building your reputation on social media doesn’t have to be time-consuming. You can do in just a few minutes a day and still be extremely effective. It’s easy if you follow these branding tips. Content can be served in many ways: standard news sites, YouTube, Flipboard, Apple Podcasts, Google Play and others. You likely have your own favorite content mediums and sites. Why not share what you’re already consuming? Once a day, save a piece of content that you find interesting. Then, when you’re ready, simply add a bit of commentary that shows your point of view on the subject and post a link. Curation like this saves you from having to create long posts but still allows you to share what you find interesting, introduce your point of view and provide value to your network. What hashtags describe your interests? Do you like #contentmarketing or #womenleaders? Are you more interested in #UX or #customerservice? Whatever your focus, you are sure to find a corresponding hashtag. Open your social media channel of choice and search the hashtags that interest you. You will instantly find a tribe of like-minded people. Follow those folks and respond to their posts. This is an easy way to build an audience that overlaps with your interests and develop a reputation as an insightful person. The constant, rapid stream of information on Twitter might be intimidating. That’s where lists come in. They make your stream manageable and targeted. Choose an area in which you want to be known as an expert. Then, build a list of people who are talking about that subject. That way, whenever you open Twitter, you can focus your attention on conversing with a relevant group of people. Twitter lists are especially important when you have several topics of interest. For example, I talk with people who want me to present about growing the careers of women in tech. I also talk about Doctor Who, my favorite TV show. There is not much crossover between those groups. That’s why I have a list for each. Facebook groups can be ideal for developing professional connections. Joining a group lets you segment your business conversations from photos of your pets and kids. Moreover, you can talk with an audience that is discussing the same topics as you. LinkedIn groups work similarly. People from the groups you interact with might also enjoy your personal updates if you share articles or other data that fits their area of business. Therefore, you may want to invite them to join your personal network in addition to interacting with them in a group setting. Influencer marketing is great for businesses and individuals. Influencers have audiences you may not otherwise have access to. Through influencers, you can tap into those audiences, too. Respond to influencer updates with insights. Share links to the material you read. Turn your comments into a conversation. This helps develop your influencer relationships and allows you to connect with their audiences to build your credibility. Guest Authored By Holly Chessman. Holly runs Holly Chessman Marketing, a premier marketing firm providing strategic advice, digital services, and social media guidance. Follow Holly on Twitter. "You don’t have to follow all of these self-branding tips but you do have to do something to build your personal brand. So, take control of your reputation. Even not posting anything says something about you. And worse, if you don’t manage your reputation, someone else will.